Latihan Soal USBN Bahasa Inggris SMP 2019 KTSP dan Jawabannya. Bahasa inggris di jenjang SMP/MTs adalah mata pelajaran dari latihan soal yang akan admin berikan kali ini untuk sobat jadikan bahan latihan menghadapi USBN tahun 2019. Soal bahasa inggris USBN SMP memang jarang sekali ditemukan di internet. Karena masih terbarunya penyelenggaran USBN di negara Indonesia. Yapp benar. USBN masih baru diberlangsungkan di Indonesia pada tahun 2017an kemarin. Materi yang diujikan kepada sobat tentunya yang pernah sobat pelajari selama masa sekolah 3 tahun. Sedangkan untuk kurikulumnya menyesuaikan. Untuk postingan kali ini admin akan memberikan latihan soal USBN bahasa inggris SMP 2019 untuk kurikulum 2006/KTSP. Kisi - kisi acuan bisa sobat lihat lewat link berikut ini. Naskah soal bahasa inggris disini terdiri atas 2 model soal yaitu soal pilihan ganda dan essay/uraian. Masing - masing butir soal ketentuannya sudah disamakan dengan yang asli yaitu 40 dan 5, jadi totalnya 45. Admin juga sudah memberikan kunci jawaban yang bisa mempermudah sobat dalam belajar. Copy paste soal tidak admin ijinkan dalam bentuk apapun terkhusus untuk di posting ulang pada blog. Sedangkan untuk kalangan guru, orang tua, bimbel, yang menginginkan contoh soal di bawah ini admin menyertakan dokumen dalam format PDF yang bisa anda unduh di bawah soal berikut ini. Walau pun terbilang sedikit, akan tetapi latihan ini merupakan yang terbaru. Jadi sobat jangan heran jika ada beberapa soal yang mungkin akan keluar di USBN SMP 2019 kelak, Soal Prediksi. Okelah, cepat belajar dan raihlah hasil maksimal atas kejujuruan tingkat maksimal. 1. What is the text about ? a. We are not allowed to the notice obey. b. 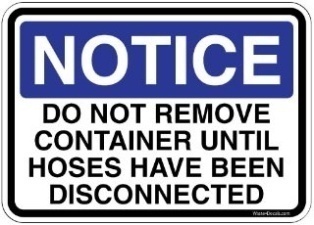 We should remove the container. Representing Tiara Junior High School, I would like to congratulate you on your success to be the first winner of this year national Story Telling Contest held by the Department of National Education. We hope your achievement will inspire all students in our school to study harder. 2. The writer hopes that Rangga’s achievement will … all students. I apoligize that the Quiz Schedule for January 11, 2015 is postponed until next week because I have to attend a conference on How to Teach English. Please forward this message to the others. 4. What should Andri do after getting the message? A. Forwarding the message to others. B. Making the quiz schedule. C. Delaying the English quiz. 6. What does the text tell about? B. to announce that there is building contractors. C. to tell about building contractor services. D. to provide the house renovations. 7. 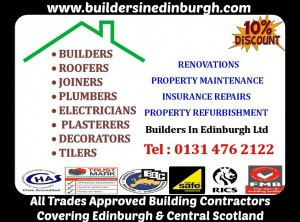 From the text we know that Builder In Edinburgh Ltd maintains ….. The Department of Industry, Tourism and Investment thanks you for your cooperation. For more information, please contact the South Slave Regional Superintendent at 0867- 872-643. 8. What is the text about ? 9. … it is safe for campers and visitors to return to the area. I’d like to invite you to my party at my house tomorrow. My parents hold party to celebrate my success in getting the best score in the final exam. Come at 7 pm . We only invite some relatives and friends. It will be different without you. 10. What is the text about ? 11. Why will Tom’s parents hold party ? A. Because they celebrate my success in getting the best score in the final exam. B. Because they celebrate his success in getting the best score in the final exam. Read the text and answer questions 12 to 14. All students of SMP Nusantara on August 15 at 4 pm in the hall. To all seventh graders, please come it is a must for you. 12. How can students get more information? A. Come to school . 13. Why does the student association hold the gathering? B. To meet all seventh graders in students’ center. D. To obey the request of the principal. Read the text and answer questions 15 - 17. 1. Prepare your fruits and vegetables by washing them thoroughly and peeling off those that need the skin removed. 2. Your juicer features an extra wide chute and thus most fruits and vegetables such as apples, carrots, beats, celery and others will not need to be cut into smaller pieces since they fit in the chute. 3. Make sure your juice extractor is properly assembled. Please follow the instructions. 4. Ensure the juice extractor and its accessories are clean by following the cleaning and maintenance section of this manual. 5. Place the jar or any other container/glass you may wish to use to collect the juice under the spout and make sure the pulp collector is in place prior to begin juicing. Do not allow the pulp collector container to overfill as this may cause the unit to stall. 7. Once the juicer is on, place the fruits and vegetables on the food chute and use the food pusher slowly to drive them down. In order to extract the maximum amount of juice, it is important to push the food pusher slowly. Collector while you are juicing. I have a place I love to go. It’s a fort, or a clubhouse, where I can go with friends. We can hang out there, plan neat stuff, eat, and rest. Shadow Fort is my favorite place for lots of reasons. First of all, there’s plenty of room for a few kids. It’s large (gargantuan to me). The fort is 3 ft. 8 in. high, 5 ft. 3 in. long, and 3 ft. 6 in. wide. There’s a place in back (we call it the pantry) for crackers, grapefruit, avacadoes, potatoes, carrots, berries, and Spanish moss. The roof is made of 4-ft. palm leaves and smaller fronds. Second, this fort is the first structure I ever built, with the help of my friend Kevin. We built it during a light shower. It was only a few vines that tangled together to make a kind of cave that we could crawl under. We worked fast to put palm fronds and leaves over the vines. “Quick! Let’s get inside!” I shouted to Kevin. We got inside in the nick of time. It began to rain powerfully, and oh how the wind blew! But our fort kept us safe and dry. Later we named it Shadow Fort because it sits in a shady area. Finally, Shadow Fort is my favorite place because it has everything we need. We keep food in the pantry, a small cot to sit on, and we even have a plywood door. One time Kevin fell out of a tree and hurt his ankle. I helped him back to Shadow Fort where he rested on the cot. Then I made some “dinner”—crackers, carrots, and berries for dessert. Can you see why Shadow Fort is my favorite place? I hope so. When I’m there, I feel happy as a cat with cream! 18. How does the writer feel ? He feels ….. Yesterday my family went to the zoo to see the elephant. When we got to the zoo, we went to the shop to buy some food to give to the animals. After getting the food we went to the nocturnal house where we saw birds and reptiles which only come out at night. Before lunch we went for a ride on the elephant. It was a thrill to ride it. Dad nearly fell off when he let go of the rope. During lunch we fed some birds in the park. In the afternoon we saw the animals being fed. When we returned home we were tired but happy because we had so much fun. D. the writer’s sharing to visit the zoo. 22. Why did the writer and his family feel very tired after having a trip to the zoo? A. They had to visit many places in the zoo. B. They took a long time to reach the zoo area. C. They had to feed a lot of animals in the zoo. D. They had no time to take a rest in the zoo. 23. ….. our family felt tired after visiting the zoo, we were still happy. Once there was a man who had a little dog and a donkey. He was very fond of the little dog. He liked to pat its head, and take it on his knee, and talk to it. Then he would give it little bits of food from his own plate. It made the donkey grow jealous. The donkey thought, "Why does he not make a pet of me? It is not fair. I work hard, and the dog only wags its tail, and barks, and jumps on the master's knee. It is not fair." Then it said to itself, "If I do what the dog does, the master may make a pet of me." So the donkey ran into the house. It brayed as loudly as it could. It wagged its tail so hard that it knocked over a jar on the table. Then it tried to jump on to its master's knee. The master thought the donkey was mad, and he shouted, "Help! Help!" The farmhands came running in with sticks, and they beat the donkey till it ran out of the house. Then they drove it back to its stable. "I only did what the dog does," said the donkey," and yet they make a pet of the dog, but they beat me with sticks. It is not fair." 24. Why did the master shout "Help! Help!" ? Because ……. 25. What is the main idea of paragraph 4? A. The donkey acted like the little dog. B. The donkey destroy its master house. C. The way the farmer treated the donkey. D. The farmer loved the donkey very much. 26. ….. and yet they make a pet of the dog, but they beat me with sticks. It is not fair." What does the word “ me “ refer to ? Primarily herbivores, iguanas are active during the day, feeding on leaves, flowers, and fruit. They generally live near water and are excellent swimmers. If threatened, they will leap from a branch, often from great heights, and escape with a splash to the water below. They are also tough enough to land on solid ground from as high as 40 feet (12 meters) and survive. Resting time is usually from afternoon till night. 27. When are iguanas active? 28. What will the iguanas do it they were threatened? A. They stay hear water and swim fast. B. They feed on leaves, flowers, and fruits. C. They will leap to the land and take a rest. D. They leap from a branch and escape to the water. 29. What is the main idea of second paragraph? A. Iguana can live as a pet for one year only. B. It’s difficult to take care of iguanas as pets. C. Iguanas are popular reptile pets in United State. D. Iguanas should be given to reptile secure group. I have a close friend namely Ladyana. She is beautiful, attractive and trendy. She always wants to be a trend setter of the day. She always pays much attention to her appearance. Recently, she bought a new stylist foot legs from blowfish shoes products. These shoes really match on her. Her new blowfish women's shoes are wonderful. When she is walking on those shoes, all her friends, including me watch and admire that she has the most suitable shoes on her physical appearance. The style, bright color, and brand represent her as a smart woman of the day. She really has perfect appearance. She is really mad on those shoes. She said that the products covered all genders. The blowfish men's shoes are as elegant as she has. The products provide varieties of choice. Ballet, casual, boot athletic shoes are designed in attractive way. The products are international trade mark and become the hottest trend. 32. .The writer’s friend like to be ……..
33. What is the main idea of paragraph 2? What does the word “She “ refer to ? There was a handsome man named Batara Guru Sahala, who enjoyed fishing so much. One day, he caught a fish. He was surprised to find out that the fish could talk. The fish begged him to set it free. Batara Guru Sahala could not bear it. He made the fish free. As soon as it was free, the fish changed into a very beautiful woman. Batara Guru Sahala fell in love with that fish-woman and wanted to marry her. Batara Guru Sahala promised to keep the secret that she had been a fish and would never tell anybody about it. They were married happily. They had two daughters. One day Batara Guru Sahala got very angry with his daughters. He could not control his temper. He shouted angrily and got the word of fish to his daughters. The daughters were crying. They found their mother and told her about it.The mother was very angry. Batara Guru Sahala broke his promise.The mother was shouting angrily, then the earth began to shake. Volcanoes started to erupt. The earth formed a very big hole. People believed that the big hole became a lake. Today the lake is known as Toba lake. A. the earth began to shake and started to erupt. B. the mother found the daughters crying. C. Batara Guru Sahala broke his promise. D. Batara Guru Sahala was angry. 36. What is the main idea of paragraph 2? 37. What can you learn from the text above? We should ………. One Sunday morning last week. Mary went out on a picnic with some other girls. It was a fine day. The sky was clear and the sun was shining. They did not think it was going to rain, so they did not bring any (38) … Suddenly the wind began to blow. There were (39) … in the sky. The rain came down. It rained heavily. There were lightning and thunder. Mary and all the other girls were very wet. They were very cold. The next morning Mary did not go to school. She was absent. Miss Rosy was surprised. She asked the pupils (40) … the class where Mary was. John stood up and said to the teacher. He said that Mary had got a cold cough. Miss Rosy was very sorry for her. 41. Arrange the following words into correct sentences ! 42. Arrange the following words into correct sentences ! Salsa : You know that you got 95 in your English test last week. Salsa : Yes, I’ absolutely sure. By the way,Mar, may I contact you if there is something important? Marwati : It’s okay. You can call me on 085855985995 after school . Salsa : (43b)…………….., can you repeat again? 43a: Are you sure ?/ Are you certain? 44. Arrange these sentences into a coherence paragraph! 1. Next, take the meat out after 20 minutes. 2. Second, cut up the meat into small pieces. 4. Finally, put the meat on the barbecue again, take the kebobs off the barbecue, put them on the plate and enjoy. 5. After that, put the meat on the skewers, and then put the meat on the barbecue. 6. Then, turn over the meat after 5 minutes, and cook it for 5 minutes more. 7. Third, put the meat in a bowl with some sauce and seasoning. Read the text and answer questions 45. 45. What can we conclude from the dialog? Itulah semua butir soal pada Latihan Soal USBN Bahasa Inggris SMP 2019 KTSP dan Jawabannya. Jika merasa ada jawaban yang kurang tepat, sobat bisa mengkoreksi dan mendiskusikannya di kolom komentar bawah ane.